Climate Masters, Inc. 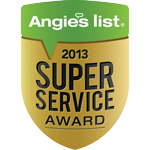 Heating and Cooling is proud to serve the St. Louis community! About St. Louis, MO - Happy to be your hometown Heating & Air Conditioning Contractor! St. Louis is a big city with a lot of heart. It is both friendly and Midwestern, and urban and diverse. This makes it an amazing place to visit for vacation. But, it is a great place to live and work, as well. The seasonal weather means you can enjoy all types of weather. So, for many, it is the ideal place to live. Summers are hot, winters are cold and the landscapes are ever-changing and beautiful. The area where the city now sites was originally mostly prairie and open forest. Native Americans lived off of the land. But, now the city is one of the largest in the nation and the landscape has most certainly evolved. Of course, the citizens have worked to conserve the natural beauty of the area. The largest native forest area in the city is found in Forest Park. In autumn, the changing color of the trees is notable and beautiful within this large park. The city is probably best known for the Gateway Arch - which the tallest monument constructed in the United States, and pays respect to Thomas Jefferson. 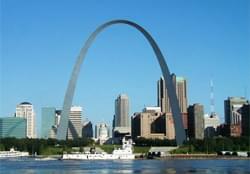 It also symbolizes that St. Louis is the gateway to the West. The monument is a great attraction to check out no matter the weather and you will see people out there in the rain, heat, snow and sleet getting a photo op in front of the iconic structure. One unfortunate byproduct of the amazing monument, however, is the destruction of some historic buildings. Because much of the city's early trade development was centered along the riverfront, many of the city’s most historic edifices were demolished during construction of the monument. But, luckily, many still exist. Industrial buildings that are still standing from the era include some portions of the Anheuser-Busch Brewery, which date to the early 1860s. The city is separated into 79 neighborhoods. The city's remaining architectural heritage from the Pre-Civil War era includes a multi-block district called Laclede's Landing with cobblestone streets and many beautiful, old buildings. It is now popular for its restaurants, bars and nightclubs and is a hot spot for the young and hip of St. Louis. It is a great place to take a stroll on a warm spring afternoon or a brisk, cool autumn evening.